SoulMates, or Twin Flames, are each one-half of one cell of God's heart. When SoulMates come together, their loving sexuality releases atomic energy dormant in the cells. This ecstatic outpouring of Love has the transformative power to bring forth a New World. Yaël Powell's mystical communion with God illuminates SoulMate Love and how Sacred Sexuality can heal our planet. 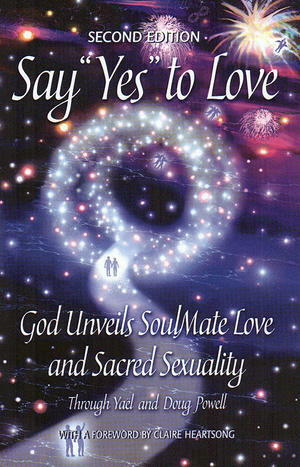 Astounding, never before revealed information on the true nature of human Love and sexuality and the potential for reunited SoulMates to transform the world through Sacred Sexuality's atomic power.